Welcome to Finding Cash Flow Notes! We are excited to provide the best training available when it comes to learning how to buy, sell, and broker cash flow notes. We have been in the industry for over 40 combined years, closed on thousands of notes, and seen just about every type of deal or marketing method possible. We have earned industry recognition like the NoteWorthy Industry Achievement Award, presented as Key Note Speakers at national conventions, and even won a new car in a top producing note buyer contest! We have shared our knowledge and passion for the note business with thousands of people ranging from start-up home based note brokers to multi-millionaire investors. It is about you wanting to create a sustainable income, control your own financial future, and stop being at the mercy of some fickle, uncaring, or unreliable corporation. We get it. We have been there. Starting out, we too struggled. Working countless hours every week and multiple jobs, just trying to find a way to break out of the “rat race” and get ahead. We built successful careers working for corporate note buyers, only to realize we still didn’t control our own destiny. After achieving six figure incomes working for “the man” we decided to walk from it and start our own note business! That is how powerful we knew working for ourselves could be. It is not just about the money, it is also about the self worth, confidence, and flexibility that come with it. Since then, we have never looked back. Dividing our time between Florida, North Carolina, and Europe, we enjoy life to its fullest. We travel and indulge in a multitude of hobbies. Frankly, it is a nice blend of work and fun. But we had to start somewhere. We earn a fee for finding note holders and referring them to note buyers. With over 50% of Americans unable to qualify for a traditional home loan there are over 50 billion in just residential real estate notes being created each year…and in this economy that number is on the rise. While it’s not instant riches, we can assure you the note industry is a real business. The key is starting with the right training…by people really in the industry! Some people will say you need a background in real estate, or finance, or even a certain type of degree. The fact of the matter is that nothing could be further from the truth. We have seen people from all walks of life succeed in the note industry. However, each of these people did have something in common. Knowledge. It is that kind of tested and time saving knowledge we are going to pass on to you in this training. We give away our best-kept note buying secrets. Our marketing letters, negotiation strategies, even our closely guarded online campaigns. We walk you through, step-by-step, how to start your note business from scratch. We go through the top methods of finding cash flow notes as well as share our personal marketing pieces (where you can simply change the name and start using as your own)! We built the program on a platform that allows you to ask questions…right in the training. We are checking in with you every day. By “we” we mean us, Fred and Tracy. Your questions are not outsourced to someone who may know less about the industry than you. We personally answer your questions. We don’t know anywhere you can find that level of access to successful industry professionals! We know money can be tight – especially in this economy. Every dollar you spend needs to be going towards something that can help you get out of the rat race and build a solid, self-driven, income. It used to cost thousands of dollars for this type of training (some people still try to charge that). The Internet has changed everything. In the past we had to travel to some distant city, pay for an expensive meeting room, haul projectors, and ship materials. At the end of the day, this was thousands of dollars out of pocket. Today we can deliver quality training straight to your computer – Guaranteed! We designed a course that not only gives you real-world information but also provides an interactive experience where you can ask questions and get feedback. First off, despite what some self-appointed “gurus” will tell you, you don’t need to spend $3,000+ on training nowadays. Matter of fact, you don’t need to spend $2,500 or even $1,000 on a quality training – if you can find the right experts willing to share their knowledge. Normally your investment is only an incredible $497 – BUT you are not even going to have to pay that! 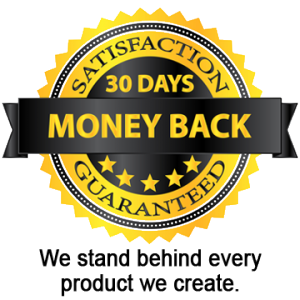 Bonus #1 – Take $200 off! That is right, for a limited time, we are going to take $200 off the top. Just for taking action now! Bonus #2 – Receive an online copy of Personal Profit Series: Notes! This advanced note manual contains over 475 pages of real life case studies, documents, and strategies used by the nation’s top note buyers. It is our original best selling note investor course and a perfect companion to the Finding Cash Flow Notes Training. First you learn to find and refer notes for immediate income then you are ready for the next level with the PPS manual! Discover how to create notes for resale, buy or sell property with owner financing, invest in notes with retirement plans, and even buy note payments with little to no money of your own. Bonus #3 – Get Access to the 2018 Directory of Note Buyers! Sometimes it is not only what you know, but who you know. Knowing the right people can not only make things easier, in the case of the 2018 Directory of Owner Financed Note Buyers, it could also make you more money! Gain access to our personal Rolodex of experienced note professionals that took years to develop. Work direct with knowledgeable investors, educators, and master note brokers. 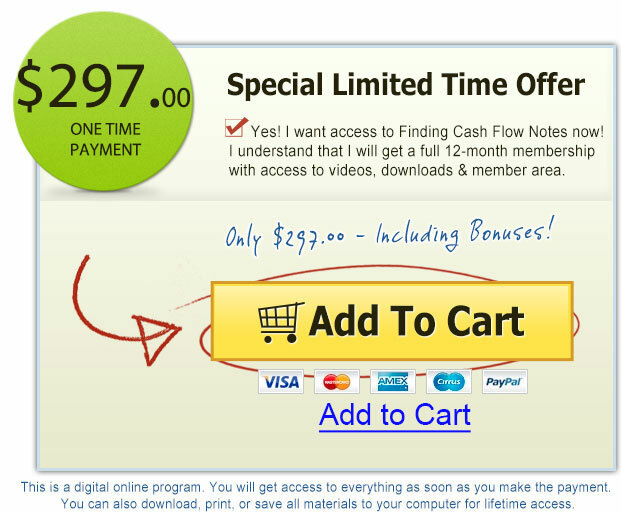 You get full access to over 40 videos of rock solid information on finding cash flow notes and earning referral fees. You get full rights to download and re-use our personal marketing materials. You get full access to all bonus materials in the training including the Personal Profit Series: Notes. You get complete access to ask questions in the training and get responses back from us personally. You get everything you need to get started in the note industry today. No delayed release or annoying upsell calls saying you need to buy “just one more” thing to succeed. How can we make that offer? Simple. The course is just that good. Access to the 2018 Directory of Note Buyers! Still Trying To Decide If This is Right for You? If you are still on the fence, let us respectfully suggest two things. 1. You have nothing to lose and everything to gain! – We know there are many people watching this right now that may have been disappointed by other so-called expert training programs. That is why we have our no hassle guarantee. 2. This price is only for a limited time! – As we add more and more items to the training we raise the price. Take action now to lock in your price! So, if you have ever wanted to get started in the Note business or elevate your current cash flow business to a whole new level, Finding Cash Flow Notes is an amazing opportunity you don’t want to pass up!